I’m Sam from ohmydollydays and I’m writing on Michelle’s awesome blog to tell you all about my big idea! 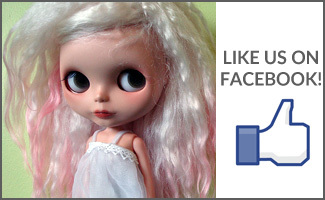 I came up with the idea that we create a big community wide Secret Santa for Blythe fans all over the world. 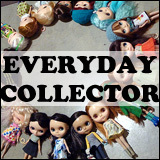 Like a huge trade any one who likes Blythe can join in with and participate in, no matter how old you are or how many dolls you own! Yet a big secret Santa wouldn’t work with out two things just a few rules and your help and your participation! Your parcel must be in the mail by the twentieth of November. So if you’re wanting to participate (and I sure hope you are) please drop me an email at santablythe@gmail.com and I’ll pop down your name, it is essential that you email me and don’t just comment as I’m going to need your email to reply with the extra details. Your email must include your screen name, your real name and your address. You will receive a confirmation once I have received this. I will however only have 28 spaces all which will be available until the 10th of November 2015 on a first come first serve basis! 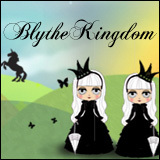 Do you have your own Blythe-related announcement that you’d like to share here on BlytheLife.com? Click here to find out what Community Corner is all about!